The Environment Ministry today decided that every state government would set up one or more monitoring groups, which will continuously look into compliance of the short-term measures. 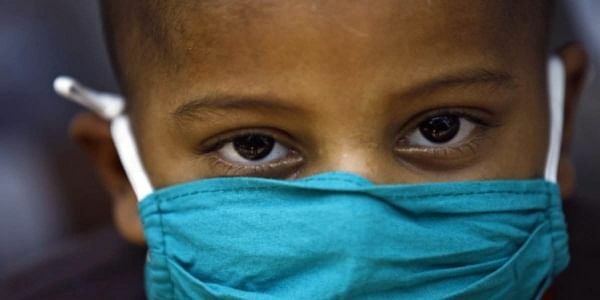 NEW DELHI: The Environment Ministry today decided that every state government would set up one or more monitoring groups, which will continuously look into compliance of the short-term measures to be taken to mitigate air pollution, officials said. During a meeting held here under the chairmanship of the secretary of the ministry, it was suggested that state governments could set up flying squads to assess the situation on the ground, prevent violation and report it, the ministry said in a statement. "After detailed deliberations, it was decided that all organisations of state governments and the central government involved in this, will work towards effectively implementing the short-term measures immediately," it said. The measures include, strict compliance to Graded Response Action Plan (GRAP) and all other directives issued by the courts, effective enforcement of ban on diesel gen-sets, brick kilns, stone crushers, hot mix plants. Ban on entry of unauthorised trucks into Delhi, enhancing parking fee and capacity augmentation of public transport, use of methods of dust containment and stopping of civil construction activities temporarily, are other measures. "It was decided in the meeting that each state government would set up one or more monitoring groups, which will continuously look at compliance," it said. The chief secretary of Haryana and representatives from the Punjab government have informed the committee that stubble burning in both the states was "over and in the medium-term, further problems because of that, may not arise". However, both the states had requested that long-term measures to ensure that this does not happen every year need to be put in place. "On these issues, it was decided that the committee will continue to meet regularly and discuss viable options like incentivising the farmers, providing subsidised equipment and using existing technologies to tide over this problem," it added. The air quality index (AQI) remained in the 'severe' category for the fourth consecutive day today, but the volume of PM 2.5 and PM 10 looked well on course to drop below the emergency level. Among those who attended the meeting included, chief secretary of Haryana Deepender Singh Dhesi, Delhi Chief Secretary M M Kutty, Principal Secretary of the Department of Environment in Uttar Pradesh Renuka Kumar, Chairman, Punjab Pollution Control Board K S Pannu and Secretary, Department of Environment, Rajasthan R K Grover, it said. Secretary of the Ministry of Earth Sciences, secretary, Department of Science and Technology and secretary, Department of Biotechnology and Central Pollution Control Board (CPCB) chairman also attended the meet.